bobbyallen.me at WI. 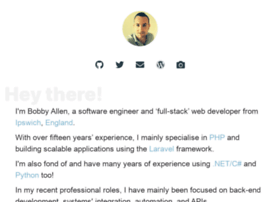 Bobby Allen - A software engineer from Ipswich, England. I'm Bobby Allen, a software engineer from Ipswich, England.